Although glass is making a greater appearance in homes, it still mainly appears in exterior doors and windows. This overlooks the great potential for glass — incorporating interior glass walls and doors into a home creates a fresh and powerful look. There are multiple ways to use glass indoors, effective for any space. Enhance the sense of luxury by enclosing your outdoor/indoor pool or hot tub in interior glass walls. This will improve your experience both in and out of the water — by allowing you to heat the space appropriately, keep dampness out of your home, and improve safety, especially important if you have children in the household. By choosing glass over an opaque material, you keep the hot tub or pool as a visible part of the design. Better yet, if you opt for a sliding glass door system, you will maintain a connection with the rest of your home but still have the option to create a sense of seclusion. 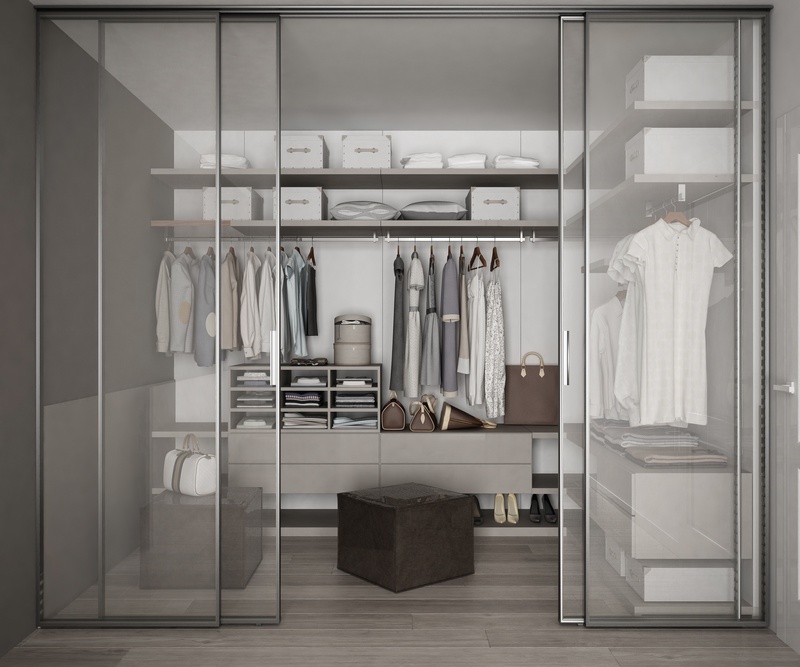 Most walk-in closets are hidden away, allowing only their users to appreciate their great designs. However, you can easily show off your wardrobe by adding a glass element. 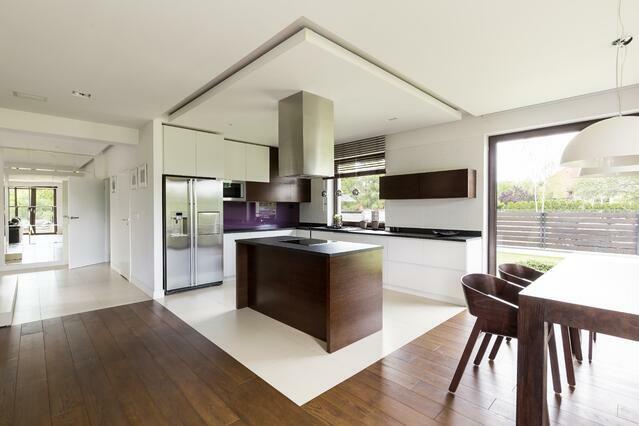 Options include glass walls or just a single glass door, perfect if you want to retain an element of privacy. Plus, a sliding glass door provides easy access to the contents of the closet and works for almost any layout. 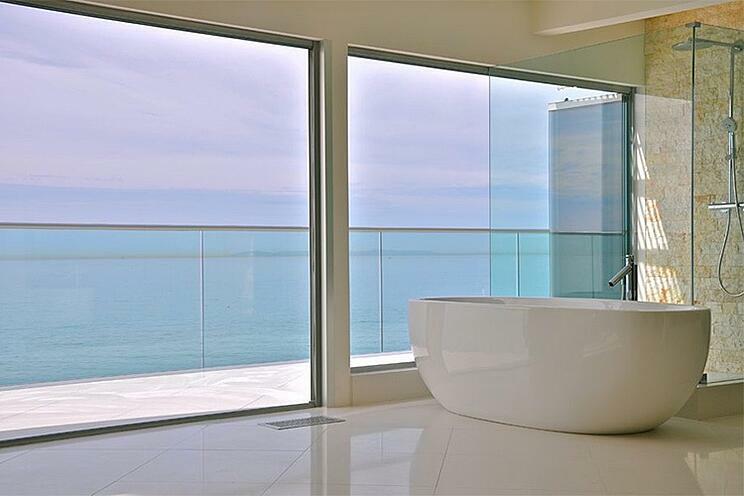 The bathroom is an excellent place for interior glass walls or doors. Glass never suffers from damage caused by steam or water and it requires little effort to keep looking its best. For improved fluidity between the master bedroom and suite bathroom, consider separating the two with a glass wall or exchanging your door with a sliding glass door. Go a step further by including a glass shower door or tub enclosure. The transparency of the material will help the space feel larger while keeping splashes contained. Finally, you can use glass partitions to separate different areas of the bathroom. The thinness of the material allows you to do this without making the space smaller. Expansive spaces are ideal when you’re entertaining large groups of people, but when it’s just you and your family at home, this can make the room feel empty. A flexible space with interior sliding glass doors allows you to adapt the area to your needs and also brightens your home. By splitting the space into different sections, you can create areas for intimate conversations, quiet workspaces, or secluded spots where you can concentrate. This allows you to spend time alone while still feeling connected to your family members. Such an option is particularly useful for homes with kids. You can keep an eye on what your children are doing and contain their slew of toys while giving them their own play space. The above are just a few ideas to use as starting points. What works for you will depend on the unique style of your home. When choosing the right way to incorporate interior glass walls and other glass features into your design, consider factors like your lifestyle and personal style as well as current trends. 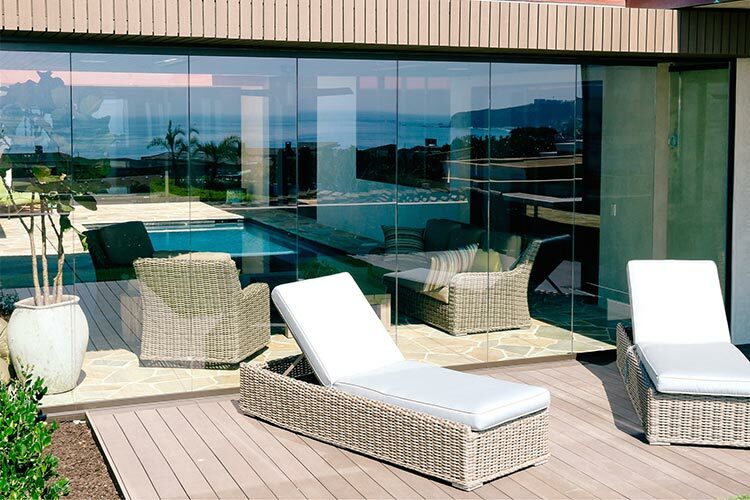 Cover Glass USA serves the Southern Californian region, including Malibu, Calabasas, Santa Monica, Newport Beach, San Diego, Santa Barbara and other beautiful cities.